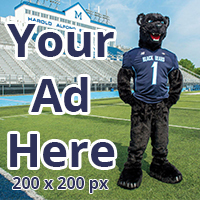 The University of Maine Black Bears (9-21, 5-4 AE) returned to Mahaney Diamond on Saturday, April 7 to take on the Stony Brook Seawolves (17-12, 6-3 AE). Pitching for the Black Bears was third-year Eddie Emerson. On the mound for Stony Brook was second-year Brian Herrmann. 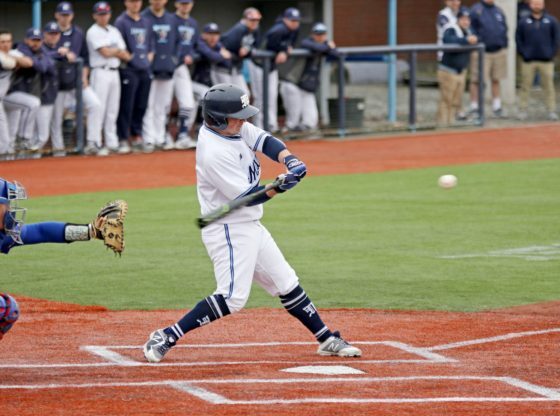 Both teams were scoreless until the fourth inning when Maine’s fourth-year designated hitter Jonathan Bennett ripped a single back up the middle scoring fourth-year catcher Christopher Bec from third to take a 1-0 lead. 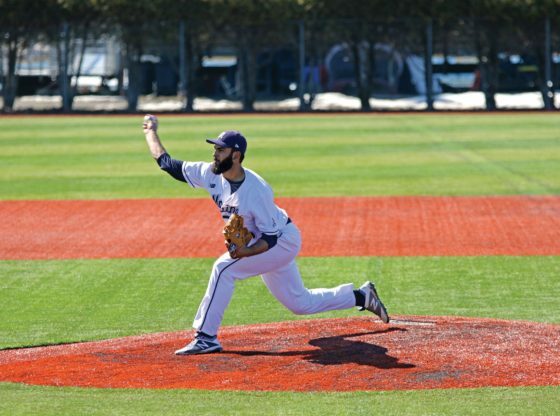 It continued to be a pitchers’ duel until the seventh when Stony Brook’s first-year catcher John Tuccillo doubled off the left field fence and was driven in by fourth-year infielder Bobby Honeyman’s double off the fence in right to tie it at one. First-year pitcher Matt Geoffrion took over for Emerson with one out and immediately ran into trouble. A passed ball sent Honeyman to third and he was then brought home on a single between first and second by second-year outfielder Chris Hamilton to take a one-run lead for Stony Brook. The Seawolves extended the lead to two in the eighth when a base hit to left from second-year infielder Nick Grande slipped through Maine third-year outfielder Colin Ridley’s legs. Grande would then score on a single to left from Tuccillo to take a 4-1 lead. Ridley made up for his error later in the inning when he threw a dart home to make Tuccillo rethink going home on a single to left, saving a run. Fourth-year sidearm pitcher Connor Johnson took over on the mound for Maine with one out and runners on second and third in the eighth. Johnson kept Stony Brook scoreless for the remainder of the game, but so did Herrmann as the Seawolves held on to beat the Black Bears by a final score of 4-1. Herrmann went the full nine innings, allowing only one earned run on six hits and a walk with five strikeouts. Emerson was solid in his outing, giving up just two earned runs on four hits with no walks and four strikeouts. 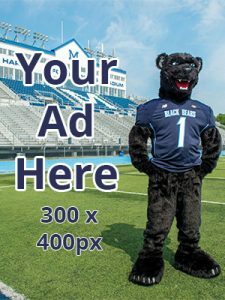 The University of Maine Black Bears and the Stony Brook Seawolves played Game 2 of their double-header on Saturday afternoon at Mahaney Diamond. The Black Bears looked to tie the series at one game apiece after dropping the first game by a score of 4-1. Pitching for the Black Bears was fourth-year John Arel. Third-year pitcher Bret Clarke was on the mound for the Seawolves. Third-year infielder Jeremy Pena tripled to left on Maine’s first at-bat of the game and later scored from third when Bec grounded in to a double play, putting the Black Bears up 1-0. Stony Brook tied the game at one in the next half inning when Honeyman tagged and scored on a sacrifice fly to left field off the bat of third-year outfielder Christian Montes. Stony Brook took the lead one hitter later when third-year infielder Brandon Janofsky singled to left, scoring third-year catcher Sean Buckhout. Maine tied the game at two in the following inning when Ridley doubled down the right field line, bringing home Bennett. Ridley was then brought in by second-year catcher Cody Pasic on a double to center, giving the Black Bears a 3-2 lead. Maine extended the lead to two runs in the bottom half of the fourth inning when Ridley drove in second-year infielder Kevin Doody from second on a base-hit to right field. Second-year pitcher Cody Laweryson came in to close out the game and did so, picking up his second save of the season. Arel was credited with the win, improving to 3-0 on the year. Arel went six innings, giving up five hits and two earned runs while walking two and striking out five. 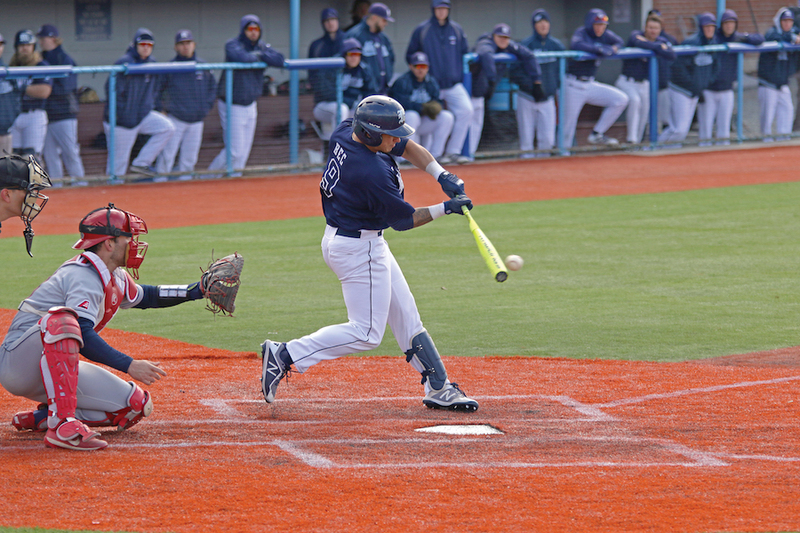 The University of Maine Black Bears returned to Mahaney Diamond on Sunday, April 8 to host the Stony Brook Seawolves in their third game of a three-game weekend series. The teams split the two games on Saturday. Third-year pitcher Nick Silva got the start for the Black Bears with second-year Greg Marino pitching for the Seawolves. Stony Brook got off to a strong start, scoring three runs in the top of the first inning. Second-year outfielder Michael Wilson got the scoring started when he singled to right field, scoring Grande and advancing Tuccillo to third. Tuccillo was then brought in on a sacrifice fly to center off the bat of Honeyman to extend their lead to two. The score was brought to 3-0 later in the inning when Hamilton singled in Wilson. The Black Bears got a run back in the bottom half of the first when Bec was brought in from second on a single to right by second-year first baseman Hernen Sardinas. However, the lead would go back to three runs in the next half inning when Grande scored on an error. Tuccillo extended the lead to 5-1 in the fourth on a hit to the left side between Maine’s shortstop and third baseman that scored Grande from second. The Black Bears added one more run in the bottom of the seventh but it wasn’t enough, as they went on to lose 5-2 to Stony Brook, dropping two of the three games in the weekend series. Marino was credited with the win, putting him at 2-1 on the season while Silva fell to 2-3 on the year. The Black Bears return to the diamond on Friday, April 13 when they travel to New Jersey to take on Monmouth University. The game is scheduled to begin at 3 p.m. Stony Brook will play again Tuesday, April 10 against Iona. The game is scheduled for 3:30 p.m.